What is the Retrievers ONLINE website about? What are "Best of ONLINE" Collections? How do I purchase "Best of ONLINE" Collections? Do I need a PayPal account to purchase Collections? Collections are in USD but I am not from the USA. How do I pay? Is the Retrievers ONLINE magazine still published? How do I know what Collections I have purchased? How do I view the Collections that I have purchased? How do I advertise on the website? 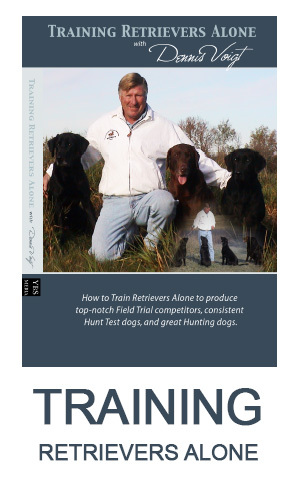 The website is the retriever trainers information centre. It has free online articles on judging, gear and product reviews, book and DVD reviews, health and care of your retriever and more. It also has "Best of ONLINE" Collections which you can purchase. These are bundles of great articles on specific topics. We also offer back issues of our magazine which is no longer published. Plus you will find news and other info. We are continually adding new content to make this site full of unique material not available elsewhere. Articles Online are free articles on the website. Most were previously published in Retrievers ONLINE magazine but some are new. They are organized by categories of Judging, Gear and Product Reviews, Book and DVD Reviews, Health and Car,e and Miscellany. They are designed to be read online but if you want to print or make a copy, you can cut and paste or do a screen capture into a file on your computer. Some articles link to a video or to a pdf which you can print. We will be adding new free online articles regularly. The "Best of ONLINE" Collections are bundles of Retrievers ONLINE articles on specific topics such as" Becoming a Better Handler" or "Favourite Marking Set-ups". You can purchase a Collection and then view the articles whenever you wish. Since all the Collection articles are in a pdf format, you can download and print the articles just as they would have appeared in the Retrievers ONLINE magazine. You can view the available Collections and notes about each article here. More Collections will be added so watch for them under "Coming Soon" or "News from Retrievers ONLINE". Check Back often for new Collections and new "free" Online Articles. Click on the "Best of ONLINE" Collections. You will see a list of available collections. Click on any collection to find out more about the articles, the price to Buy Now and a short description of all the articles included. If you do not have an account, you will be asked to create one, confirm your purchase, and check out with either PayPal or your credit card. If you have previously created an account, simply log in to your account and you can see any previous purchases. You can add new Collections to add and view or print them whenever you wish. No!. You can use your Visa, Mastercard or Discover card. You can use your PayPal account of you wish. In all cases, the transaction is secured by PayPal and we do not collect your credit card information. However, we do collect your name, address, order details and email in order to contact you if necessary. All purchases of Collections (and Advertising and Back Issues) are charged in USD. Simply pay with your PayPal account or your credit card and your account will be charged in the equivalent USD, If you are Canadian, we have to charge for HST based on your province, However, we will pay that tax for you so you will be simply charged the Buy Now cost in USD. First, go to Back Issues on the website. Look at the list of available back issues and decide which ones you would like. 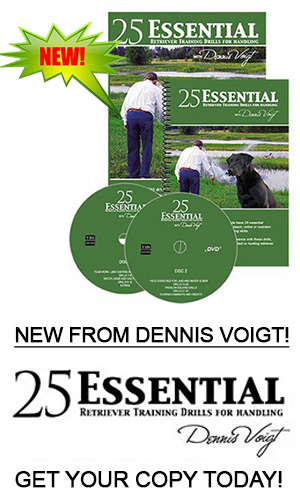 Contact us Here or at dennis@retrieversonline.com. We will confirm availability of your desired back issues and confirm purchase price. We will obtain your mailing address and credit card information directly from you. We will then mail your issues to you. Log into you account. You will see a tab for Collections. This will list the Collections that you have purchased. In addition, if you are logged in and you view the "best of ONLINE" Collections, you will see a list of your Collections and then the Collections that you have not purchased. Log in and go to My Account. When you click on Collections, you will see the Collections that you have purchased. Under each Collection, you will see the articles included with a Download Now tab. This will download a pdf file which you can read or print or save to a file on your computer. The articles will look just like the original printed article. We offer ads on the right hand side of all pages inside the website. The size of ads and cost per ad for a defined time period is described under Contact Us/Advertising?. You will need to contact us directly to discuss your ad and for payment. We may be able to provide other sizes of ads as well as connect your Ad with specific pages related to your products. At the present time we do not offer litter ads with pedigrees but can offer Stud notices, kennel ads and more. Generally you will provide the Ad correctly sized in jpeg or pdf format but we can add links if desired.